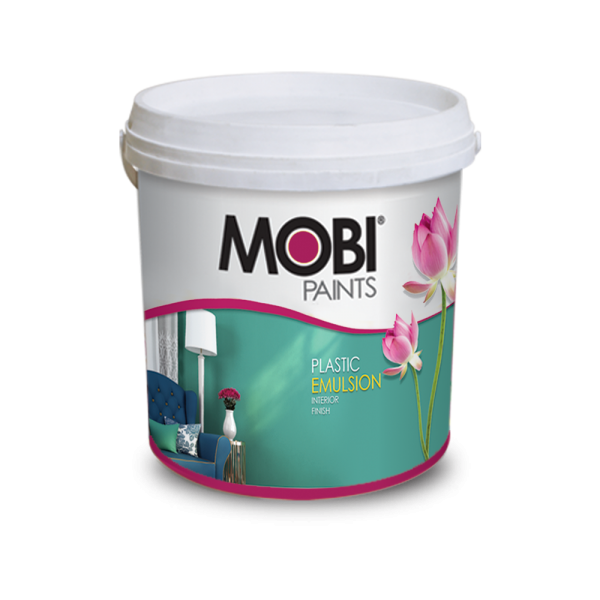 Mobi Plastic Emulsion is an acrylic base long lasting, easily washable superior silk finish made for decorating and protecting interior walls & ceilings. It is available in the most fascinating colour range. MAIN USES: On plaster, concrete and brick surfaces. It can also be used as an undercoat for synthetic enamel on wooden surfaces. COVERING CAPACITY: 130-185 Ft2/ litre per coat. PACKING: 16 Litres, 4 Litres, 1 Litre. 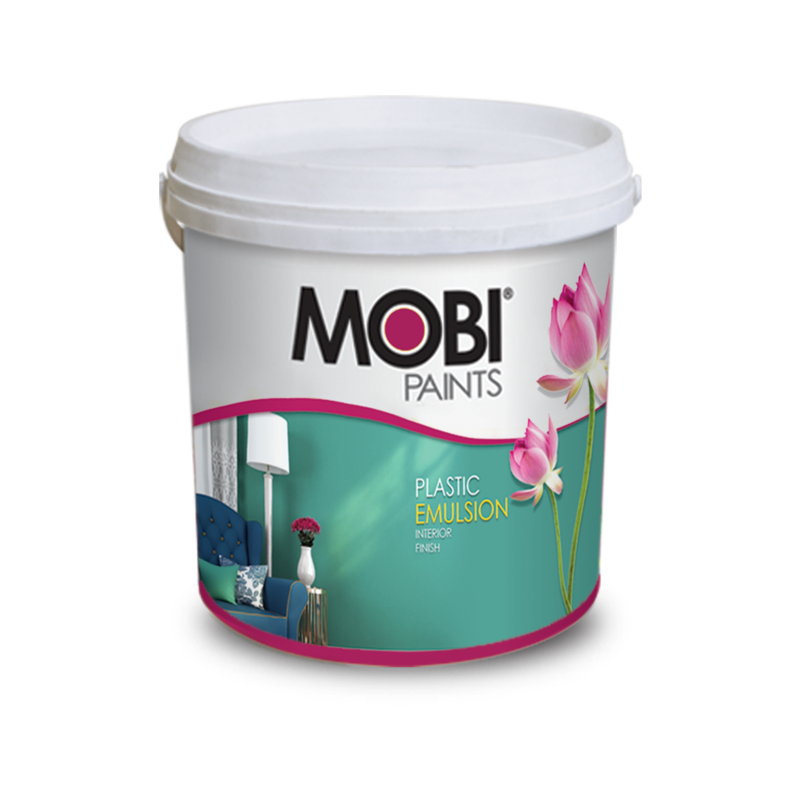 Thin MOBI Special Plastic Emulsion with clean water while stirring. The amount of water to be added will depend upon the roughness and porosity of the surface and the rate of drying during application. 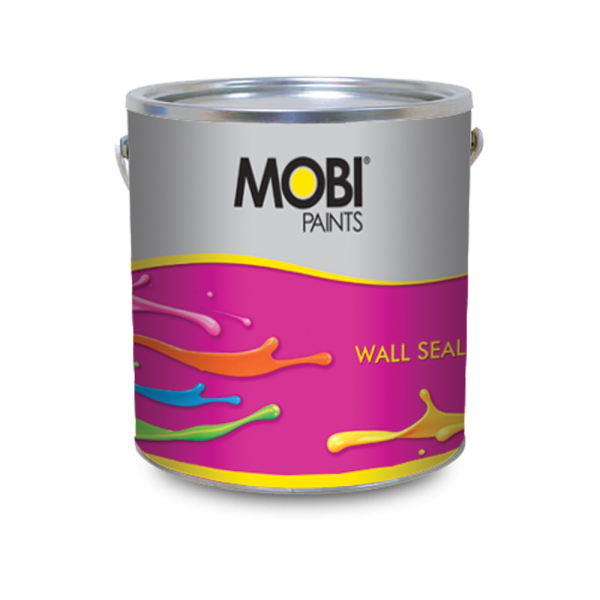 Generally,for 1 st coat add 2-3 litres of water to 4 litres of MOBI Special Plastic Emulsion and add 1 -2 litres of water to 4 litres of MOBI Special Plastic Emulsion for the 2nd coat. New surface should be allowed to dry out. Efflorescence or salts should be removed by wiping first with a dry cloth and then with a damp cloth. 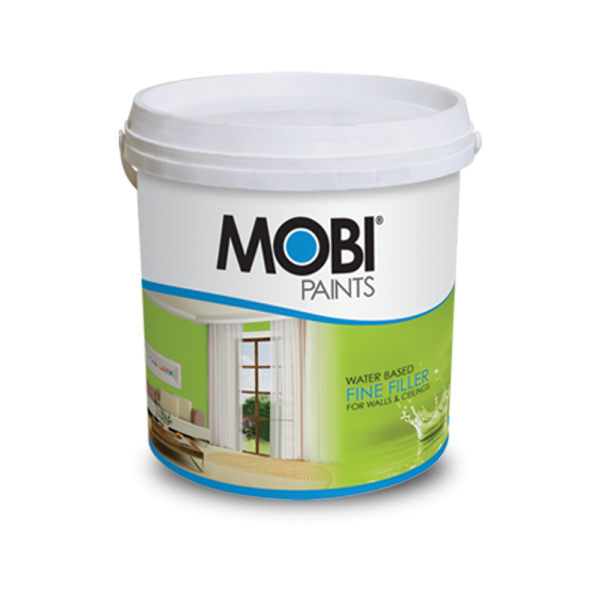 Once efflorescence has ceased, putti it and apply 2-3 coats of MOBI Special Plastic Emulsion. If the existing material is sound and firmly adhering,in case of previously painted surfaces,MOBI Special Plastic Emulsion may be applied direct after normal cleaning. If old paint is loose or flaking,defective material should be removed by scraping. Dust off the surface,apply one coat of MOBI Undercoat,and let it dry hard. Finally,apply two coats of MOBI Special Plastic Emulsion. Scrub off the existing distemper or white wash to the bare plaster with abrasive paper and then clean. 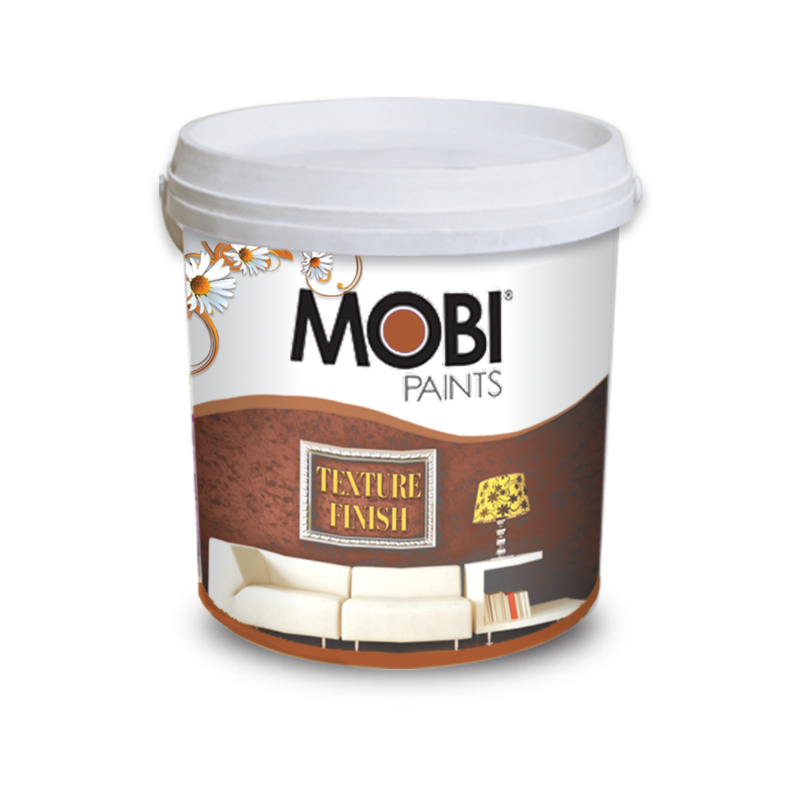 Where heavily bound distemper cannot be removed completely by washing, the surface should be primed with MOBI Undercoat and apply two coats of MOBI Special Plastic Emulsion. 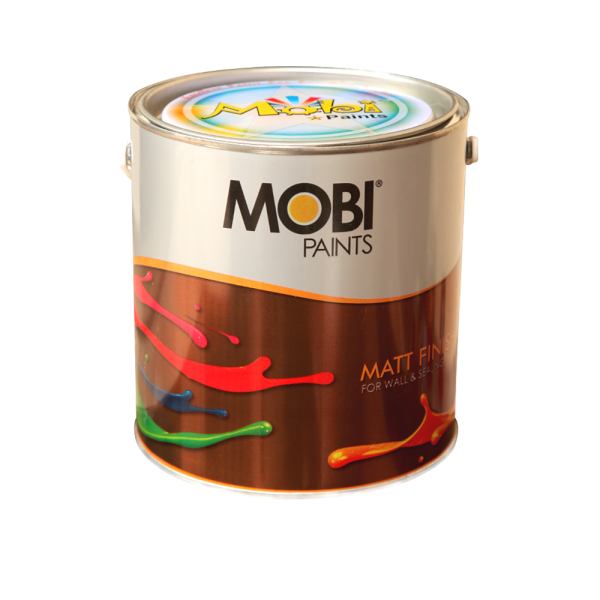 Keep paint container air tight after use and store in a dry place away from heat and direct sunlight to save the unused paint for longer period of time replace the lid firmly and invert the can for few seconds to seal the lid, it will help to prevent skinning. Scrape excess paint out of brushes and rollers before cleaning. Wash all equipment immediately after use with clean water or a mild detergent solution. Shake excess water out then wrap them in a piece of clean cloth. Doing so will revive your brushes back to original. Do not dispose-off excess paint into drains or watercourses,disposal should be done in accordance with the environmental regulations. If paint spills on to your body or in your eyes,wash thoroughly with clean water and seek medical advice. Spots and splashes should be washed off before they have dried as MOBI Special Plastic Emulsion is resistant to water and washing,once it is dry.